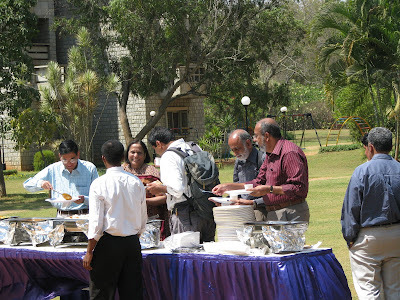 MBU Trip "Agumbe" 28th Feb -1st March, 2009 !! 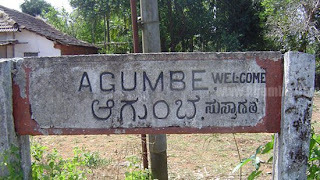 Agumbe, the Cheerapunji of South India !! "The capital of King Cobra"
Agumbe is among the places that receive high rainfall and is rightly called the Cherrapunji of South India. 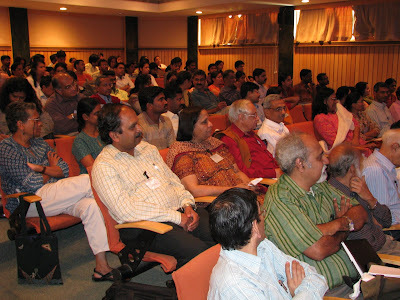 Agumbe also served the screening of most of the episodes of one of the most popular television serial Malgudi Days based on R.K Narayan's novel. Start to SUNRISE POINT at 5:00 AM (18 km; 15 km by Bus) --> Back to LODGE & refresh --> Visit to HERITAGE HOUSE(1 km) and Breakfast there --> Reach Agumbe Rainforest Research Station (1.5 km) by 10:00 AM [Presentation by The Forest officer] --> Check Out from LODGE by 11:30 AM --> Reach SRINGERI --> lunch --> Start to Bangalore(Dinner on the way). 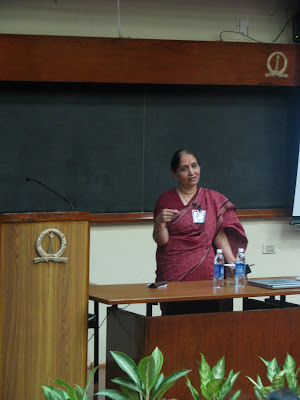 IISc Founder's Day 2009 !! 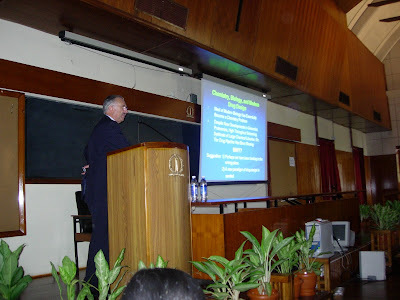 March 3rd is the birthday of Jamshetji Nusserwanji Tata (1839-1904), the visionary who laid the foundations for Science and Research in India: Indian Institute of Science , Bangalore. 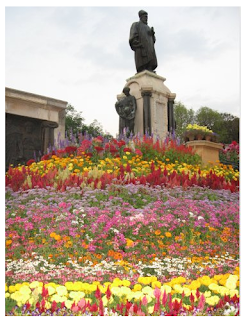 As a mark of respect to this noble individual, floral tributes are offered. 8.55 a.m. : Assembly in front of the Statue of Founder. 9.00 a.m. : Floral Tributes. Aircraft Exhibition 28th Feb- 4th Mar, 2009 @ IISc !! EXHIBITION ON Aircraft and how they work ? Whatever we might like to call them - aeroplanes, aircraft, airplanes, or just planes - they have transported, and will carry on transporting, ever increasing numbers of people and tonnes of merchandise throughout the world. But the aeroplane is not just a means of transport, it is much more! For over a hundred years, it has symbolised one of mankind's greatest adventures: aviation. 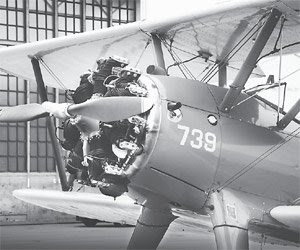 The tales told by aviation pioneers are the stuff of dreams; thanks to their daring, we can actually fly, soaring through the clouds, faster, further and more safely. The French exhibition "Aircraft: how do they work?" hosted by IISc with the support of Society For Shock Wave Research, Department of Aerospace Engineering is designed to give you an inside view of this spectacular adventure. By the time you leave this exhibition, we guarantee you will not only be immensely proud of the ingenuity demonstrated by yesterday's inventors, but much more able to imagine the next steps forward! In other words: you will be able to admire the past, value the present, and trust in the future! All are welcome to discover the fabulous world of aircrafts! All Photos on web!! 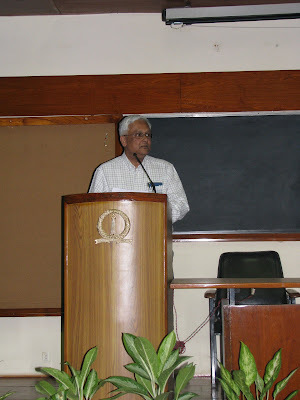 CHEMBIO 17-19th, Feb 2009 @ IISc & NCBS !! Day 1, Day 2 , Day 3. Jim Warwicker, James Kitchen etc.. The physicochemical properties of proteins figure prominently in relation to invivo activity and in vitro characterization. Walter Kauzmann’s oil drop model for protein folding (1959, Adv Protein Chem 14:1-63) describes the most basic characteristic of native structures, the relatively non-polar interior, and has seeded numerous studies of computational folding over the last 3 decades. The rapid increase in the 3D structural database, with the influence of structural genomics initiatives, is providing information across a range of organism and subcellular environments. Our work seeks correlations between 3D-based calculated properties and biological/environmental characteristics, including the following examples: organism growth temperature; subcellular organelle and subcellular pH; propensity for phosphorylation; cysteine reactivity and redox control; DNA/RNA-binding surfaces and binding paths. Many of these areas have not been studied in detail previously, and in each case we find that calculations based on 3D structure can contribute to predictions of the biological properties, adding to what are generally sequence-derived predictive models. Phosphorylation is a good example of our methodology. Sequence-based approaches have dominated prediction of phosphorylation sites. Our study of phosphorylated sites in the PDB shows that many of these ‘real sites’ are separated from ‘control’ serine, threonine and tyrosine sites that are not phosphorylated (in the same PDB sets). The basis of this distinction is simply stabilization of the negative phosphate charge by surrounding groups. The set of phosphorylated proteins in the PDB may be biased compared with the wider phosphoproteome. However, mass spectrometry is revolutionizing the experimental field, indicating that phosphorylation may be more widespread than previously thought. Our structure and comparative model-based procedures could be a useful complement to sequence-based methods in phosphorylation site bioinformatics. Research and calculations that investigate structural correlates of biological activity have become widespread since the advent of structural biology. However, the bioinformatics contribution to functional annotation of genes depends largely on sequence-based methods. In the context of our growing ability to structurally annotate genomes, 3D structural bioinformatics algorithms such as those outlined here assume a new importance in refining and complementing the primary structure techniques. Contributors: Jim Warwicker, Richard Greaves, Pedro Chan, James Kitchen, David Walker, Binbin Liu, Salim Bougouffa, James Magee. Influence of 3D structures of proteins in structure and function recognition at the genomic-scale. 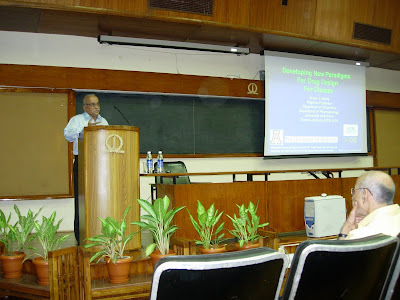 February 17- 19th 2009: This symposium brings together researchers from diverse areas like chemists, spectroscopists and molecular biologists who address fundamental problems in biology using chemical techniques. 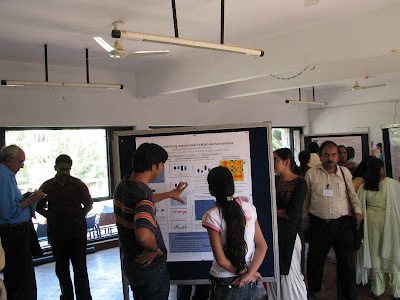 The symposium will cover areas like Peptide Conformation and Design, Membrane Biology, Structural Bioinformatics, Protein Engineering, Protein Folding and Drug Discovery, Chemical Ecology amongst other topics. How does epileptiform activity affect Ca dynamics in neurons? 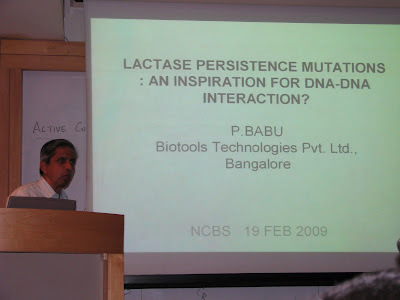 Lactase persistence mutations: An inspiration for DNA-DNA interaction? The Story of INDIA !! 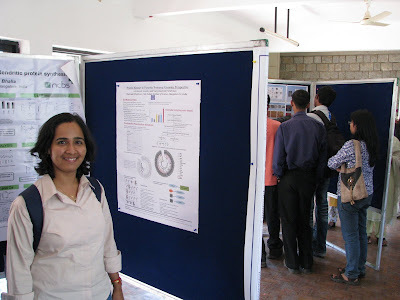 eVoices newsletter of IISc, Feb. 2009 !! PALI - Phylogeny and ALIgnment of homologous protein structures. 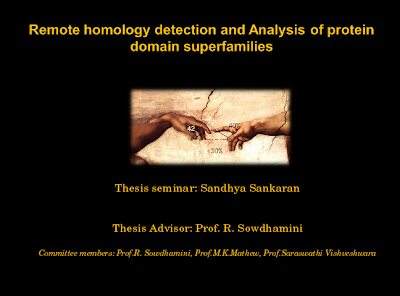 SUPFAM - Clusters of potentially related homologous protein domain families. CCP4 Molecular Graphics - Create beautiful publication quality images and movies. Chimera - Interactive visualization and analysis of molecular structures and related data. GRASP2 - Macromolecular structure and surface visualization written for the Windows. LigPlot - Automatically plots protein-ligand interactions. Raster3D - Program suite for photo-realistic molecular graphics. TopDraw - Sketchpad for drawing topology cartoons of proteins. Baton - Structure based sequence alignment output file in the JOY format. CE Combinatorial Extension Method - 3-D Protein Structure Comparison and Alignment. CEMC - Multiple protein structure alignment server. ClustalW2 - A general purpose multiple sequence alignment program for DNA or proteins. DALI - A server for comparing protein structures in 3D. DALI Lite - Pairwise comparison of protein structures. ESPript - Utility to generate a attractive PostScript output from aligned sequences. FPS - A method for scoring a query sequence against a family of sequences. Homolmapper - Map several conserved properties onto your structures, not just plain sequence. 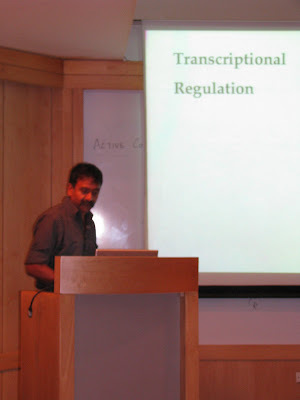 Indonesia - Integrated program package for biological sequence analysis. MAMMOTH - Multiple protein structure alignment server. Mustang - Multiple structural alignment algorithm. Stralign - Structure alignment program. STRAP - Structure based alignment program. Structural Alignment of SCOP Sequences - search the results of structural comparisons. TCoffee - Evaluating multiple alignments of DNA, RNA, protein sequences and structures. Theseus - Maximum likelihood superpositioning and analysis of macromolecular structures. 3D SS - Three dimensional structure superposition. AMIGOS - Reads an RNA PDB file and outputs a complete table of torsion angle calculations. APBS - Software for evaluating the electrostatic properties of nanoscale biomolecular systems. Atlas of Protein Side-Chain Interactions - depicts how amino acid side-chains pack. CATH - Hierarchical classification of protein domain structures. CAVENV - Designed to help visualise cavities in a protein structure. CaPTURE - Identify energetically significant cation-pi interactions within proteins. CASTp - Computed atlas of surface topography of proteins. ConSurf - Identification of Functional Regions in Proteins. DDMP -- Differences Distance Matrix Program. Dynamite - Makes predictions about the way a protein moves given only a PDB file. Dynapocket - Prediction of likely configurations of the atoms of binding pocket. DynDom - Determine domains, hinge axes and hinge bending residues in proteins. dssp2pdb - Converts dssp output to pdb. eF-site - Electrostatic surface of functional site. elNemo - Compute the low frequency normal modes of a protein. 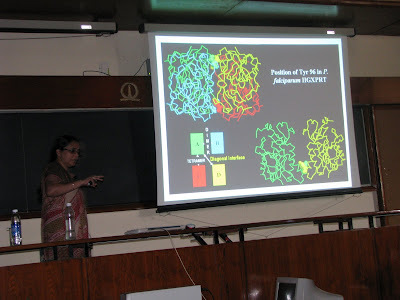 ESCET - Analyse and compare three-dimensional protein structures. extpdb - If you cut up pdb files, this is the utility for you. FISH - Domain identification server. GROMACS - Versatile package to perform molecular dynamics. 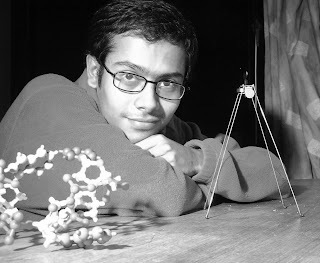 HBexplore - Geometrical analysis of hydrogen bonds in biological macromolecules. 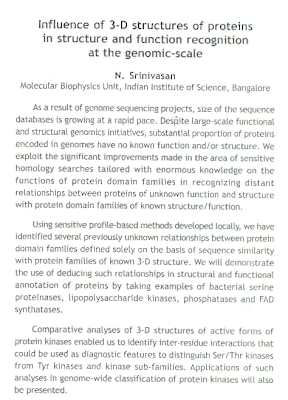 InterPro - Database of protein families, domains, repeats and sites. MOLEOline - Web-based tool to find/analyze molecular channels, tunnels and pores. MolProbity - An expert-system consultation about the accuracy of a macromolecular structure. MOTIF - Sequence motif search from GenomeNet. MSDMotif - Provides information about ligands, sequence and structure motifs. NACCESS - Calculates the accessible area of a molecule from a PDB format file. NCBI BLAST - Finds regions of similarity between biological sequences. OCA - A browser-database for protein structure/function. OnD-CRF - Order and Disorder in proteins prediction server. Parvati - Analysis/validation tool for high resolution protein structures. PDBsum - At-a-glance overview of every macromolecular structure deposited in the PDB. PDB Report Database - Reports describing structural problems in PDB entries. PDB Structure Quality - Determine if your structure is on-par with others in the PDB. PDB2PQR Server - Enables a user to convert PDB files into PQR files. Pfam - Large collection of protein families. 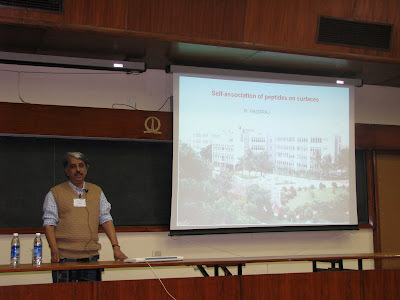 PIqsI - investigation and curation of quaternary structures. PISA - An interactive tool for the exploration of protein Interfaces, Surfaces and Assemblies. 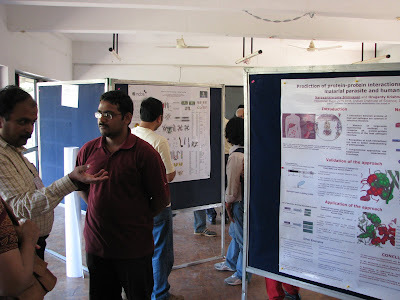 Pre-BI - Prediction of biological interfaces. PredictProtein - A service for sequence analysis, structure and function prediction. atoms are in close contact. ProDom - Protein domain families. PRODRG-2 Server - Convert small molecules in PDB format to various topology formats. ProFunc - Prediction of protein function from 3D structure; EBI services. ProMate - Predicts the location of potential protein-protein binding sites. PROPKA - Empirical Prediction and Interpretation of Protein pKa Values. Protein Calculator - Protein properties calculator. 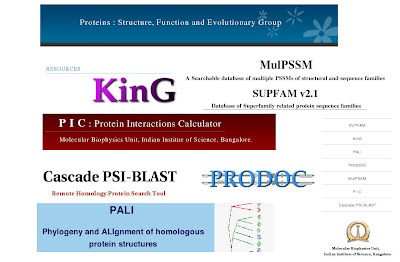 Protein Structure Prediction - Molecular modelling site. sequence conservation onto the structure of a protein. PROTORP - A tool to analyse the properties of interfaces of protein-protein associations. analysis of protein complexes into a single application. RAPPER - An ab initio conformational search algorithm for restraint-based protein modelling. ROBETTA - Full-chain protein structure prediction server. SCOP - Structural classification of proteins. 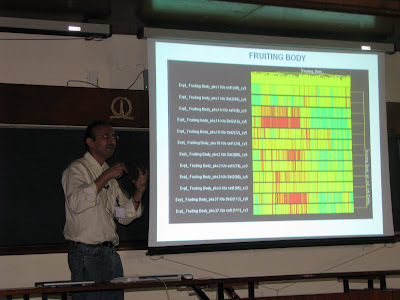 SFCheck - Assessment of X-ray data and/or agreement between atomic model and X-ray data. SPASM Server - Server will find similar motifs based in a database derived from the PDB. 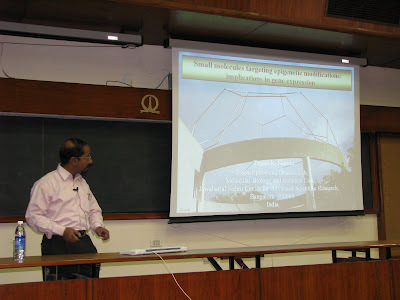 SSBOND - predicts sites where disulphide bonds can be introduced. STAN - Structure analysis server. StrucTools - Common structural biology calculations with PDB coordinates. SURFNET - Generates surfaces and void regions between surfaces. TLSMD - Inference of TLS motion from single crystal structures. TOPS - Compare a structure (PDB Format) to a database of structures. Web-Tools - Web-Accessible Scientific Applications (scientific supercomputing at NIH). WHAT IF - Homology modelling, drug docking, electrostatics, validation and visualisation. 3Dee - Database of Protein Domain Definitions. 3DNA - Analysis, rebuilding, and visualization of three-dimensional nucleic acid structures. Aero India 2009, Bangalore from 11 to 15 Feb !! 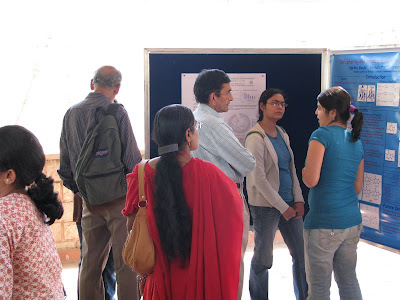 The Venue of Aero India Show 2009, Yelahanka, a suburb of Bangalore in Karnataka. Aero India Show was popular since the first exhibition in 1996. 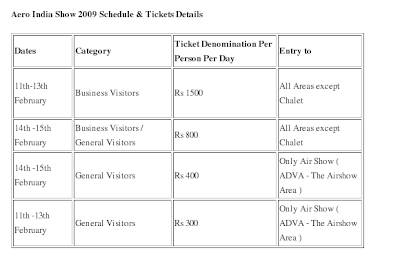 Now, all waiting for the next Aero India Show 2009. 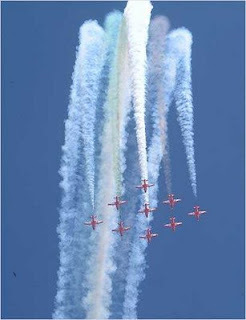 This air show is held twice at Yelahanka Air Force Base in Bangalore. Aero India Show is considered to be one of the largest air show in South Asia, where thousands of visitors come. The Aero India show in India is very popular especially among people associated with the aviation industry and aviation industry. The service providers and manufacturers can learn about technology and products from this show. 592 Exhibitors from 25 Countries will participate in the show. Participating countries including the United States, Australia, Britain, Brazil, Czech Republic, India, Belguim, France, Italy, Germany, Ireland, Malaysia, Israel, Norway, Romania, Poland, Singapore, Russia, South Africa, Sweden, Spain, Ukraine, Holland and Switzerland. The Aero India show in India is very popular especially among people associated with the aviation industry and aviation industry. Some expected to break previous records are aimed at the upcoming Aero India Show 2009. The Aero India 2009 Exhibition is organized by the Defense Ministry of India in association with the Federation of India Chambers of Commerce and Industry (FICCI). 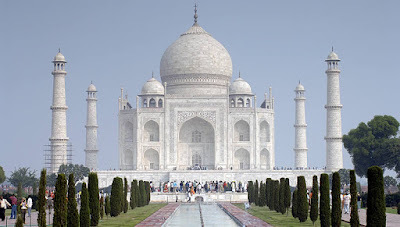 The fourth largest air show in the world the Aero India is one of the major exhibitions in India as it includes both air displays and exhibitions of various aircrafts of the Indian Air Force. The Aero India has been conducted 6 times in India and the last three editions showcased some of the most advanced technologies and aviation equipments. evolutionary constraints on the human genome and transcriptome. 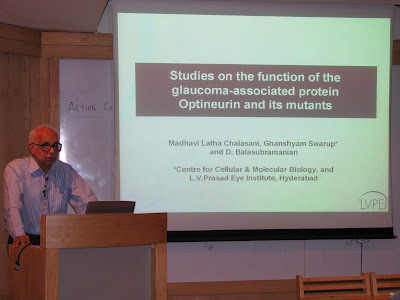 • Worked as an intern with Dr. N.Srinivasan investigating the difference in interface properties between transient and permanent complexes. 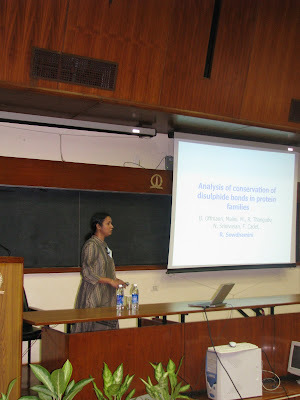 • Received JNCASR Summer Research Fellowship. 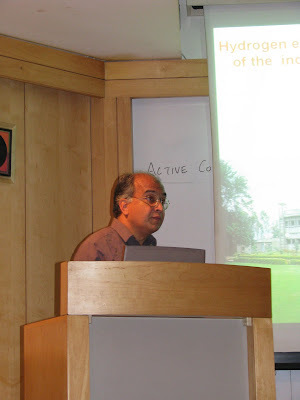 New Recommended paper @ F1000: Evaluated by NS with Ramachandra M Bhaskara !! Entropic contributions and the influence of the hydrophobic environment in promiscuous protein-protein association. Chang et al. drive home the idea of alternative bound states of hydrophobic side-chains that are responsible for the binding and stabilization of promiscuous protein-protein association. Single proteins having multiple binding partners has been implicated as a causative factor in many diseases. This study can aid in the search for and design of drugs for promiscuous targets.